You are here: Home > Summer almost at an end! Wow, what an amazing summer this has been. I have been living in Calgary for 10 years now and this is the hottest summer yet! What a treat! Another big treat at our house this summer was the blossoming of the peony plant we placed in our garden; it had been three long years since its introduction to our garden and not a single bloom! This year though, it happened, it bloomed! 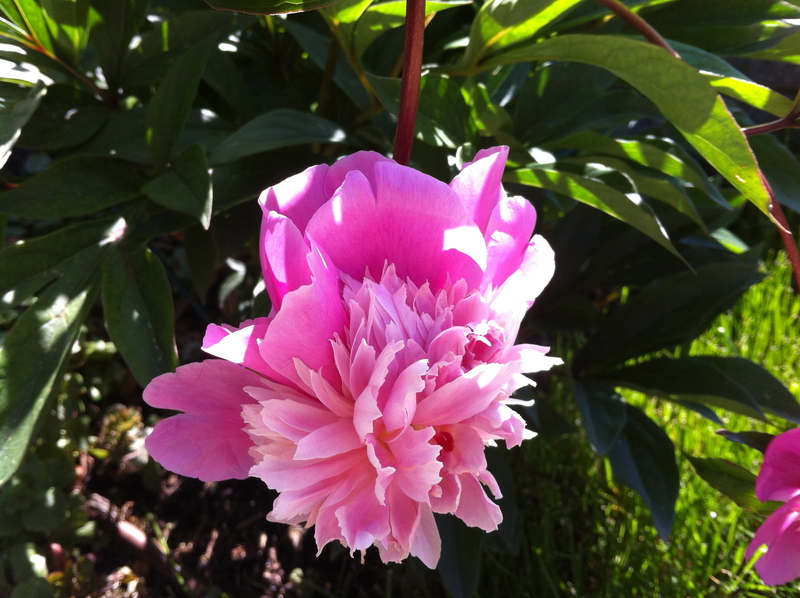 The third week in July, just as we began our summer holidays, the peony bloomed 3 flowers that lasted about a week. The peony flower is my all time favourite flower. 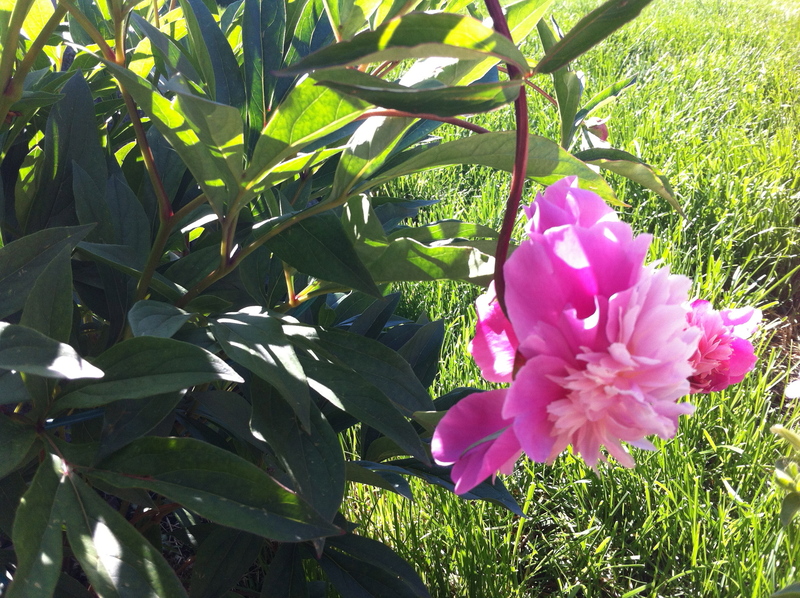 If I had room, I would plant 10 or so different kinds of peony in my yard! I know, it might sound pretty boring and all, watching and waiting for a plant to flower but it was well worth the wait! We are peony hooked. Happy Labour Day Long weekend everyone, and keep thinking summer….aaaah!